The guys got tired of waiting on a label to release this record, so they did it themselves. See the flyers section for a flyer. 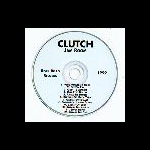 River Road Records is Clutch's "label." There were 1000 copies printed and sold on clutchgear.net. The CD's came exactly as pictured in a white envelope with no cover art. Sure to be a collectible.